kim watson ★ design ★ papercraft: Creative feeling! 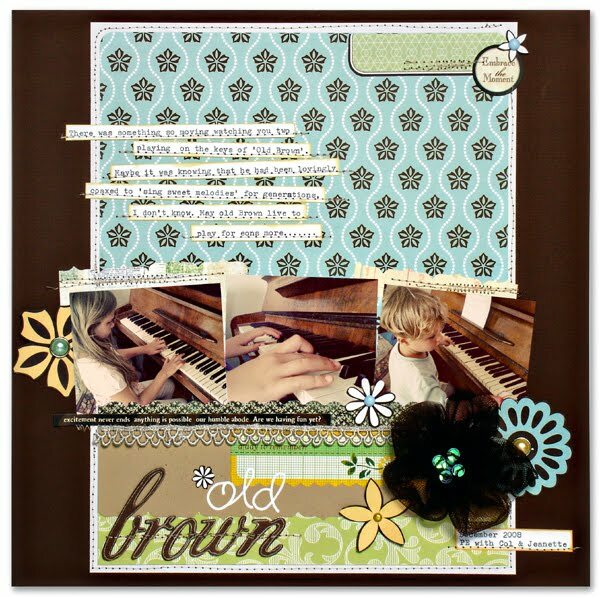 When I open my January Cocoa Daisy kit this month...I was swamped by 'the creative feeling' of one who hadn't scrapped for the 3 weeks while the children were on vacation. I succumbed.....and scrapped my fill in two days, these are the result. The American crafts Letterbox line & Basic Grey Origins collection makes up the bulk of this kit. If you haven't grabbed yourself any, you don't know what you are missing.....look at these colours!! Tricia still has a couple to buy in the store. That first layout is awesome...I love the pic of you and Max embracing on the beach...and that scalloped paper is something NEW...wow! 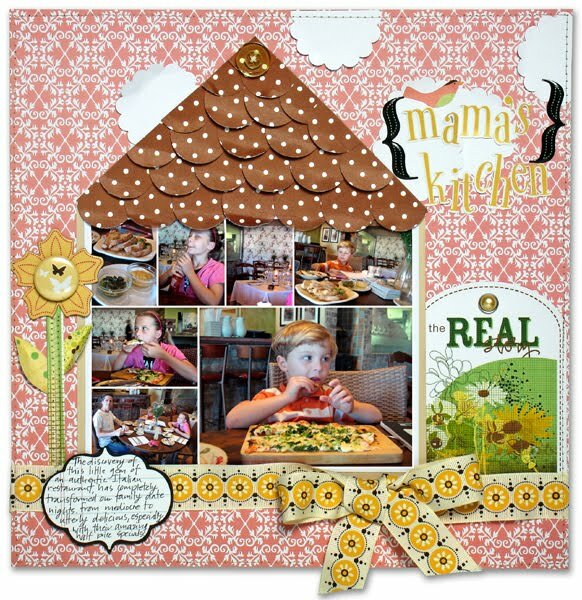 I should do a "mama's kitchen" layout too. I've been on hiatus too...need to get back into it! This is excellent!!!!!!! Man, you just have it, hey!!!!!! You are so right, without Jesus' Forgiveness and Grace, we are lost!!!! Totally fabulous Kim..! As always...! Love them...did all that in 2 days...wow! These are absolutely gorgeous! I love the roof on that house! So cute!!! KJ, these are GORGEOUS! I love how that turquoise flower POPS against that Origins page. Seriously wow. these are amazing, Kim! love!